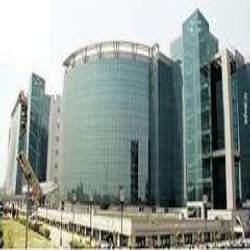 Office space in business parks Corporate Hub is available for rent in Noida. Rent Property Services at Tara Estate Pvt. Ltd.
Buy / Sell, Bungalows, Luxury Floors, Collaborations & Rental property. Vasant Vihar, Anand Niketan, Shanti Niketan, Westend, Central Delhi & South Delhi. Enlaark has the tools you need to search residential homes for rent, as well as the neighborhood and school information you need to make the best decision. Search by number of bedrooms, price, and even neighborhood to quickly find your perfect residential home for rent. We provide selling, purchasing and rental services of Farm Houses. Our consultants have in-depth knowledge about the properties and procedures, therefore, we assure our clients in providing fair deals. The locations of the Farm Houses are in accordance with the preferences of our clients. Moreover, our legal experts assist our clients in easing the formalities involved in the legal procedures. Get the maximum value from your properties with our rental services. In case if you are not using your property, we can help you find some good renters. This way you can get good profits at the same time the property will be lively. Our rental team have enough leads which will help you get good renters who will look after your home with the utmost care. A property from which the owner receives payment from the occupant(s), known as tenants, in return for occupying or using the property. 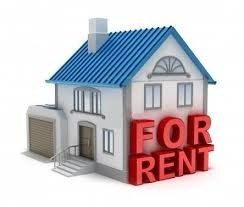 Rental properties may be either residential or commercial. The owner of rental property may be allowed to take certain tax deductions such as mortgage interest and depreciation. FOR BACHELORES/COUPLE SPACIOUS 1 BHK LOCATED AT A WALKING DISTANCE FROM THE HUDA CITY METRO SATION AND VYAPAAR KENDRA IN C BLOCK 2ND FLOOR FURNISHED WITH 1 BED. Whether you are a Property Owner or you are a prospective Tenant, if you seek a lucrative Renting Property Deal in Rudrapur, then you must contact Chawla Propertiess. We act as a common platform for the prospective Tenant and Landlord. We maintain a databank of Rental Apartments, Flats, Individual Houses, and Shops in Rudrapur. An Approved furnished Retail Space Measuring 1645 sq ft Available for Rent in crown interiorz mall Sector-35 Faridabad Haryana at Rent Price of Rs 1, 32, 000/- per month. Operating since 2005, Primelocator has grown from strength to strength to become a force to reckon with in Real Estate and Fcaility Services in Chennai. High end Residential Rental is our Forte. Having been a part of Gurgaon Real Estate since the past 12 years, we have gained expertise in offering a wide variety of realty based services. Of these services, we specialize in Property Rental Services. Based in Mumbai (Maharashtra), Maash Properties is a prominent company in the real estate industry. With our highly proficient employees and years of experience we are offering a range of Rent/ Lease Property Services for different kinds of Properties such as Residential Property, Commercial Property, Industrial Property, etc.